Discover how technological solutions created by Federal-Mogul Powertrain maintain the optimal heartbeat of an engine. For over a century, Federal-Mogul Powertrain has been developing and delivering innovative technologies that meet specific customer, regulatory and market requirements. At Federal-Mogul Powertrain, we pride ourselves on our advanced technological solutions, facilitating fuel efficiency and emissions reduction and extending the engine service life. The company’s advanced component designs, specialized coatings and proprietary manufacturing processes ensure friction reduction, supporting engine downsizing, higher compressions rations and improved performance. Federal-Mogul designs and produces an extensive portfolio of engine components for the smallest engines with 25mm bore size up to the world’s largest engines with 980mm bores and 1000,00hp. Our precision technologies achieve single-digit tolerances and are engineered to withstand the toughest conditions in today’s highly loaded engines. We are the heartbeat of small and large engines! Advanced component designs and materials enable more efficient propulsion systems and facilitate vehicle light-weighting for improved fuel economy and lower CO2 emissions. Advanced powertrain technologies enable optimized friction, supporting engine downsizing, higher compression rations and improved performance. 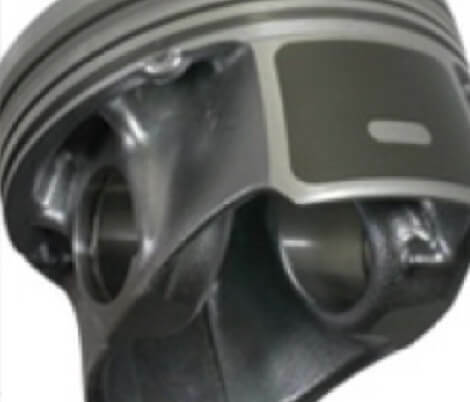 Federal-Mogul Powertrain has unique expertise in developing next generation pistons that address high mechanical and thermal loads. 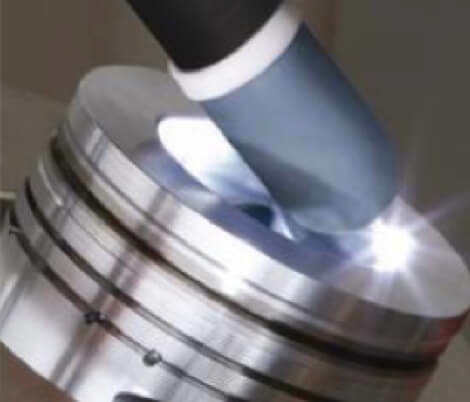 Our pistons feature optimized gallery locations for maximum cooling of piston crowns. They are manufactured with the use of state-of-the-art processes, coatings and engineered surfaces. Advanced horizontal-casting process significantly improves microstructure. 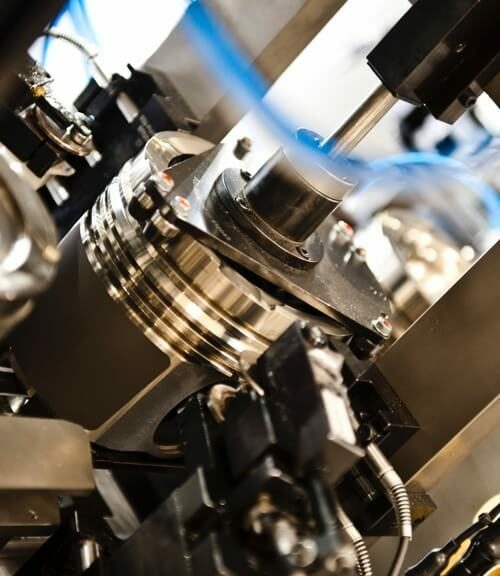 Dura Bowl® aluminum re-melting process improves the fatigue strength of aluminum pistons to withstand mechanical and thermal loads produced by heavily boosted engines. Two-dimensional ultrasonic and eddy current inspection technique ensures defect free castings for optimum durability. Light Vehicle Diesel premium alloy with increased durability and higher fatigue strength up to 440 º. Advanced piston technology for up to 20% lower friction. Graphite embedded EcoTough® low friction, wear-resistant piston skirt coating reduces piston friction up to 10% versus standard coatings. Patented Elastoval skirt provides the highest strength-to-weight ratio. Elastoval II ultra lightweight aluminum piston allows a weight reduction of up to 15% in high power gasoline engines. 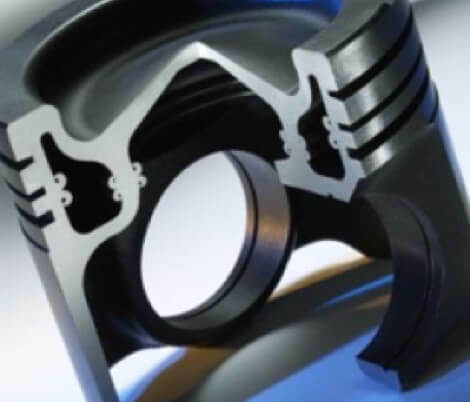 Elastothermic® gallery-cooled gasoline piston enables downsized engines to run at higher power levels and compression rations with outstanding durability and lower parameters of noise, vibration and NVH. Dual friction-welded construction enables to achieve high temperature resistance and strength due to large cooling galleries. Industry-leading Monsteel® piston is ideally positioned to operate at elevated temperatures and pressures. Monosteel’s unique architecture features large closed structural gallery, full-length skirt and bushingless MnP-coated pin bores. Reduced groove distortion and improved oil control and gas sealing. Magnum Monosteel™ enables 17% friction reduction when compared to conventional steel piston designs.